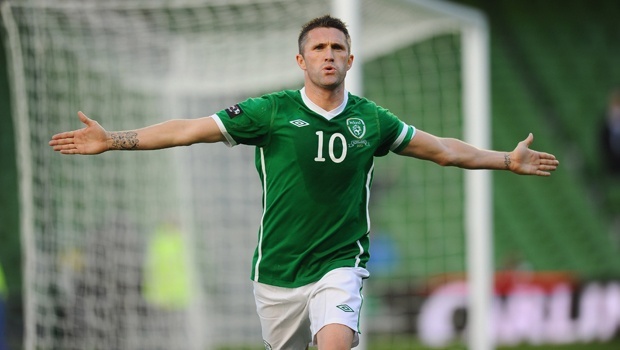 Robbie Keane becomes Republic of Ireland’s most capped player. Robbie Keane spent the 1999/2000 season at Coventry City, signing from Wolverhampton Wanderers and being sold to Internazionale. Former Coventry City striker Robbie Keane has this evening become the Republic of Ireland’s most capped player. Keane, 32, earnt his 126th cap against the Faroe Islands this evening in a World Cup qualifier, where he passed the previous record holder, goalkeeper Shay Given. Currently the Republic’s captain, Keane is also the nation’s record goal scorer, and currently joint twentieth in the all-time international goalscoring charts with 59 goals, after scoring a hat-trick on his record breaking appearance. Keane signed for Coventry City in 1999 for £6m pounds from Wolverhampton Wanderers, which at the time was a British record fee for a teenager. In only one season at Highfield Road, Keane scored 12 goals in 34 appearances where he was then sold to Internazionale for £13m. Keane has since gone on to play for Leeds United, Tottenham Hotspur, Liverpool, Celtic, West Ham United, LA Galaxy and Aston Villa and is the eleventh highest Premier League goalscorer with 125 goals. « Richard Keogh opens Republic of Ireland goal account.